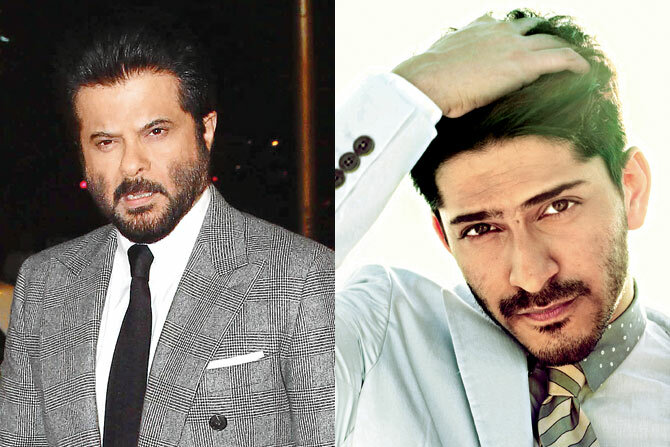 Home Bollywoood Updates Anil Kapoor And Son To Star As Father-Son Duo In Biopic? Anil Kapoor and Harshvardhan Kapoor are believed to be bringing their real life relationship to the reel. If reports are to be believed, they are in talks to play father and son in a biopic on Abhinav Bindra, India’s ace professional shooter, which will be directed by Kannan Iyer and coproduced by Kriarj Entertainment. Harshvardhan Kapoor, who is still one movie old in the industry, is already getting good offers. His debut venture, Rakeysh Omprakash Mehra’s Mirzya, did not do very well at the box office. However, he has been offered Vikramaditya Motwane’s Bhavesh Joshi. And now, he has apparently been chosen to play Abhinav Bindra in the shooter’s biopic, while Daddy Kapoor has been roped in to play Bindra’s father. A spokesperson from Kriarj Entertainment was also reported as saying that Harshvardhan was perfect for the role and would do justice to it, as he was passionate and hardworking, and his potential was evident from his work in Mehra’s Mirzya. The project was even more strengthened since the duo was signed on. If all goes well and as planned, the biopic is scheduled to start shooting in October of this year. Currently, Harshvardhan is working on Motwane’s Bhavesh Joshi, while Anil Kapoor is shooting for the upcoming Anees Bazmee directed film Mubarakan with nephew Arjun Kapoor.